Science fiction, horror, action movies; all of them are amazing. In fact, the majority of movie genres are pretty much incredible. Within these movies, the characters make use of a variety of weapons that could devastate the entire population of a small country, the entire world, or perhaps just a small town or two. These pieces of technology are both impressive and shocking. Someday, sometime way in the future, someone will develop some form of these weapons for the use of mischeif and nefarious purposes. Until then, enjoy reading about them. 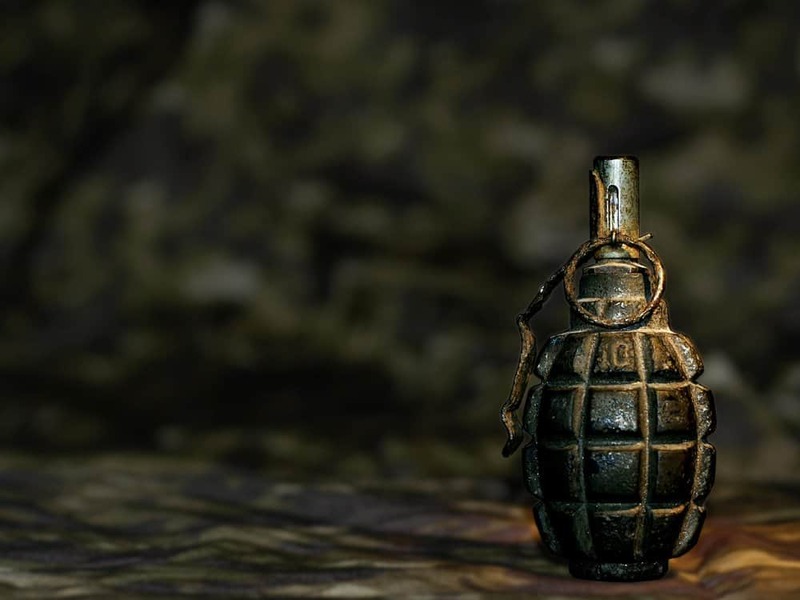 Within “Planet of the Apes,” a device known simply as the Alpha-Omega Bomb was introduced, which was said to “burn the entire planet to a cinder.” This would effectively ensure every human being on Earth perished and the apes took over — if they survived. 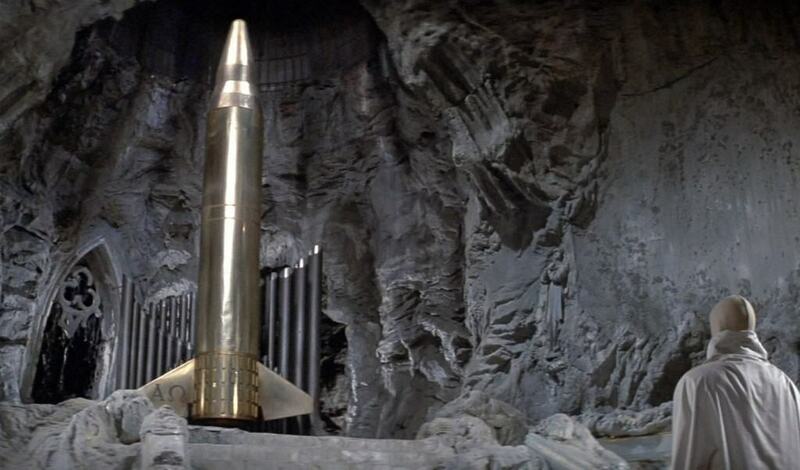 The “Hand” grenade from Death Zone 2000 was a regular explosive device built into racer Frankenstein’s fake hand. That way, upon shaking hands with the President, he could blow the man up, killing him instantly. Within Akira, kids in Neo-Tokyo ended up with the ability to use crazy psionic abilities, which threatened the entire city. The government used the SOL Satellite to fight against the kids. They fired the orbital weapon at them. The Sonic Shotgun used in Minority Report delivered a “sonic” burst. 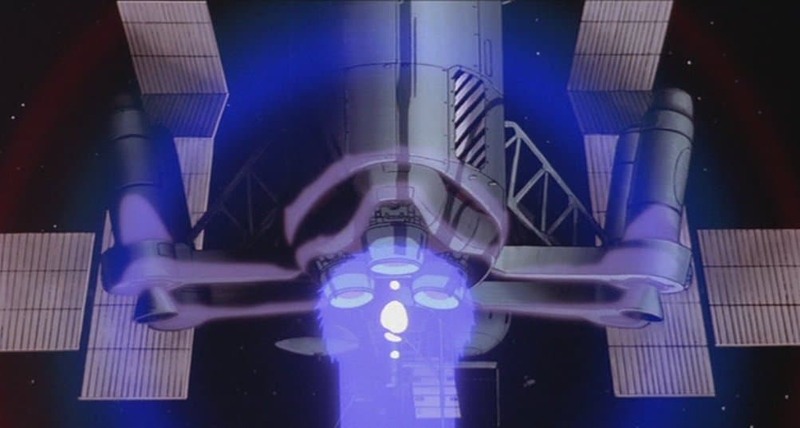 The weapon was known for the amazing sound effects brought forth within the movie, plus the unique motion when reloading. 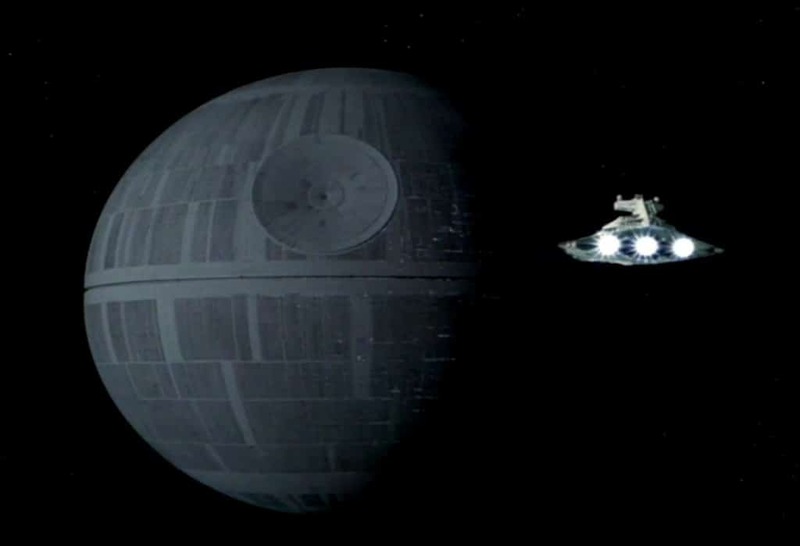 The Death Star is, without a doubt, the biggest, most impressive weapon in any science fiction film. The sheer terror and devastation that it could drop on an enemy’s head was beyond powerful – it blew up entire planets! 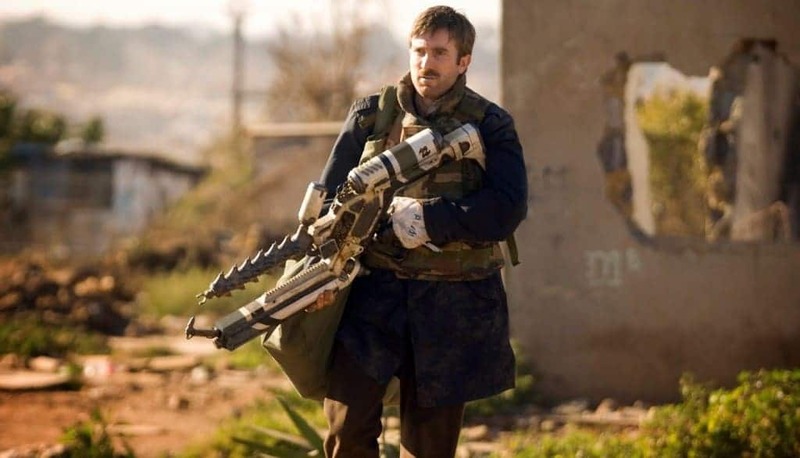 In District 9, which starred South African actor Sharlto Copley, the ARC gun was quite devastating. The carnage inflicted on the public with this particular piece of machinery was worth looking into. 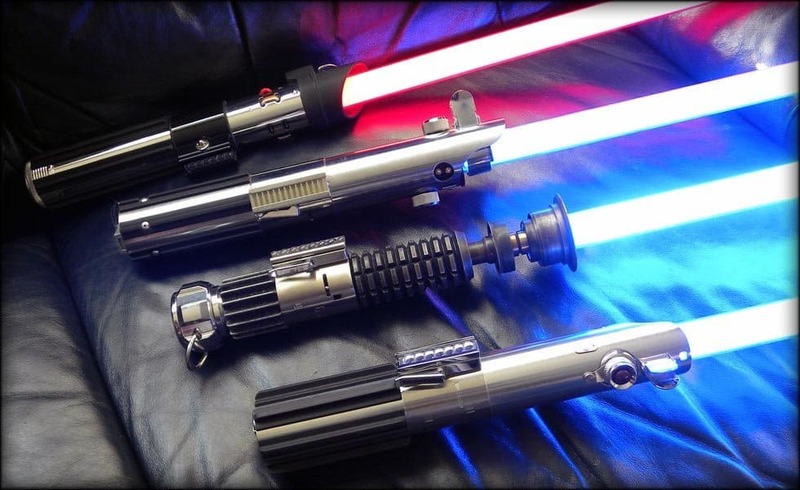 Probably one of the coolest weapons created for a movie, the lightsaber (Star Wars) was capable of cutting through an enemy with ease, or even through metal if the Jedi truly wanted to. 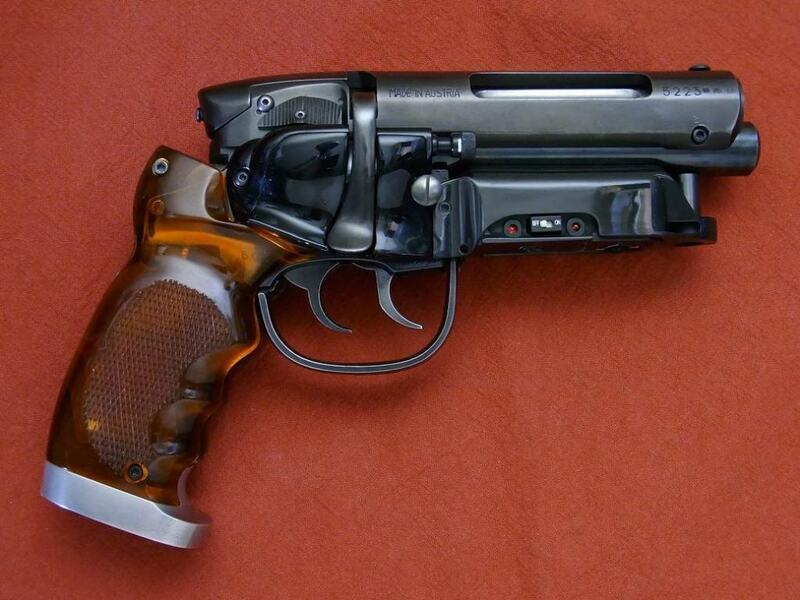 In Blade Runner, Detective Deckard had a handgun that was both a rifle and a pistol combined into one. It looked pretty futuristic, and could take down a villain with a single shot. In the film, it brought down enemies in the middle of a rainstorm. 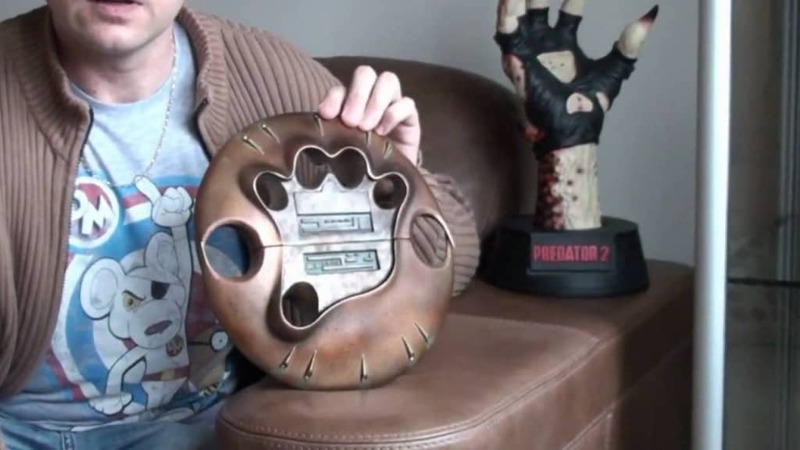 The Smart Disc is a bit terrifying, especially with how it appears, but is the coolest boomerang weaponry in the entire world. 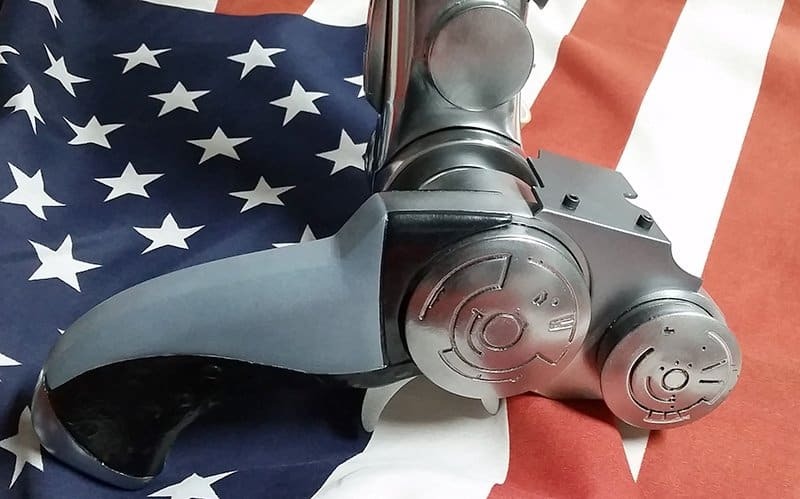 The razor sharp throwing weapon was controlled with an in-helmet sensor on the Predator. The M41A Pulse Rifle was an air-cooled, automatic weapon with Caseless ammunition. 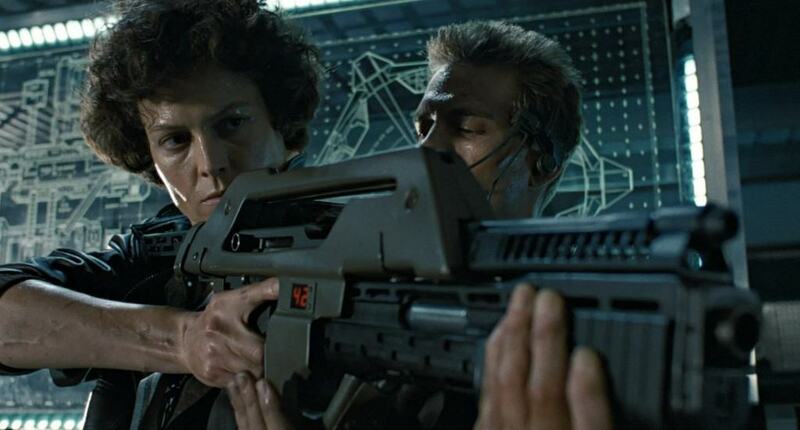 With an underbarrel shotgun, the M41A was devastating against Alien scum the Colonial Marines used it against.